As we’ve recently discussed, Savannah River Nuclear Site is one of the top “welfare to work” employers for several South Carolina counties. Temporary services are also top employers, and some of those workers may be sent to the Savannah River site, as well. The unemployed from neighboring areas and even the neighboring state of Georgia were rounded up by bus after the 2008 economic crisis, as part of the “Recovery Plan”, to work cleaning up Savannah River Nuclear Site (and probably other sites, like Hanford). They technically were not “forced”. Some few opted out. But, can one speak of choice in such a context? Many who didn’t ever know before, now understand since 2008, how close they are to homelessness. Some became homeless. The homeless have been picked up off the streets of Japan to work at the Fukushima Daiichi nuclear disaster site, as well. Some have observed that there are few homeless left in Japan. Fukushima may have solved this “problem”. It would be interesting to know if prisoners currently work at nuclear sites, as they’ve been sources of cheap labor for companies, for some time, in the United States. The international Trade in Services Agreement (TISA), which can now be fast-tracked in the US, will facilitate bringing in nuclear clean-up workers from all over the world. Is this why the Japanese government feels fine re-starting Sendai Nuclear Power Station, which is near two of the most dangerous volcanos in the world? In 1957, people at a UK cinema were forced to be firefighters at the Windscale (now Sellafield) nuclear fire. Graphite can burn for days, and indeed it did at Windscale and Chernobyl. Could this happen again? At any moment. For years the graphite moderator has been known to be cracked at Hunterston B in Scotland, and Hinkley Point in Somerset England, and could be dangerously so by this year (2015). http://www.onr.org.uk/foi/2014/2014020215-ar-53-2009.pdf Experts have been hired to prove that it’s really ok after all! But is it? 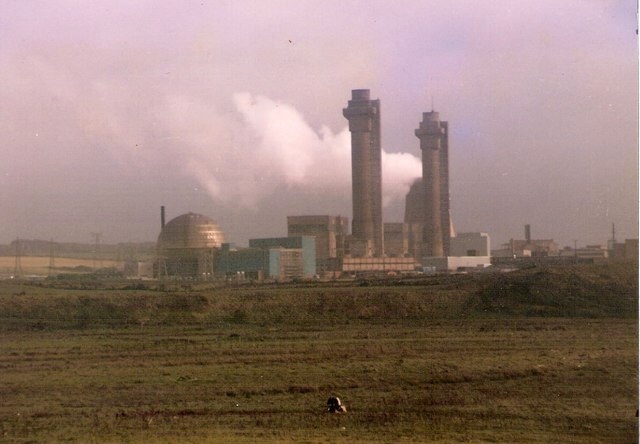 The cause of the Windscale fire is believed to have been, in part, pushing the safety limits! While the examples below were pointed out by ENE news/ Nuclear News Net (See “Revelations on the dirty work…” link above), we returned to the original sources, checked the transcriptions, added to it, and sometimes summarized things from the videos. Thus, while this is the same topic, it is not the same as their post, so both may be read. Plus, you are urged to return to the original videos, as well. “If they let the fire burn out, it could spread” [more] “radioactivity over a large area of Britain. But if they put water on the reactor, they risked turning it into a nuclear bomb that could kill them all…” The causes of the accident were covered up because scientists had been warning about a possible accident for some time, as the safety margins were being further and further eroded. “They were running much too close to the precipice,’ says Dr Dunworth, a senior manager in the Nuclear Research Laboratory in Harwell, Oxfordshire, who was one of those highlighting the potential dangers“. Read more here: http://news.bbc.co.uk/2/hi/7030281.stm This should serve as a warning for the UK and US nuclear reactors, where the safety margins are too slim and perhaps even non-existent. The US allows plus-minus 30% error margin for reactor pressure vessel embrittlement, which could lead to failure, for its largest reactor at Grand Gulf. Plus is fine; minus is doom for much of North America. Of course, it will provide lots of “welfare to work” radioactive clean-up jobs for the poor. In “Children of Chernobyl” (UK, 1991, Clive Gordon) documentary (3.38 min) http://youtu.be/zGhphEqmrHU it is explained that the radiation on the roof of Chernobyl was enough to kill a man in minutes. The explosion blew the 2,000 tonne steel lid off of the reactor core, covering the roof with fragments of highly radioactive graphite. Since robots could not withstand the high levels of radiation, men were picked off the streets and forced onto the roof to work, where they received a lifetime dose of radiation in one and a half minutes. They were sent home and forgotten and thus their deaths were not counted. Of 800 of those put on the roof, survivors put the number of dead (5 years on) at 350, i.e. 44%. Around 600,000 men were drafted from all over the (now former) Soviet Union to clean up around Chernobyl. As of 1991 the official count of the dead was 250 but it is thought that more than 5,000 had died (by 5 years on.) [At approx. 3 min 20 sec. one survivor said the Chernobyl explosion made a mushroom cloud]. Dr. Kate Brown, Ph.D., Associate Professor of History, University of Maryland, Baltimore County discussed her excellent book “Plutopia” on C-Span for an hour. Her book testifies to the long-standing abuses by the nuclear industry-governments. In the USSR, after an engineer went missing, he was found in the cement foundation of the reactor. [The reader may recall items, such as gloves, found in the concrete at some US reactors.] In the US, at Hanford: “Rather than hire minority workers that built the prison camp next to the construction site they had white prisoners working at the plants rather than hire 80 more minorities… They did not have enough males workers” and so “hired a lot of women” to do “the most dangerous job at the chemical processing plants“. “…They said it was a suburb. They are very desirable places to live. But,…. amidst the comfort and abundance… engineers and scientists were quietly contaminating the surrounding landscape with tons of radioactive waste… On the Rangers’ farm they would dress as cowboys” to test the sheep’s thyroids with a Geiger counter to measure the radioactive iodine, telling the locals “this just helps your sheep“. High levels of cesium also fell on the UK from Chernobyl.